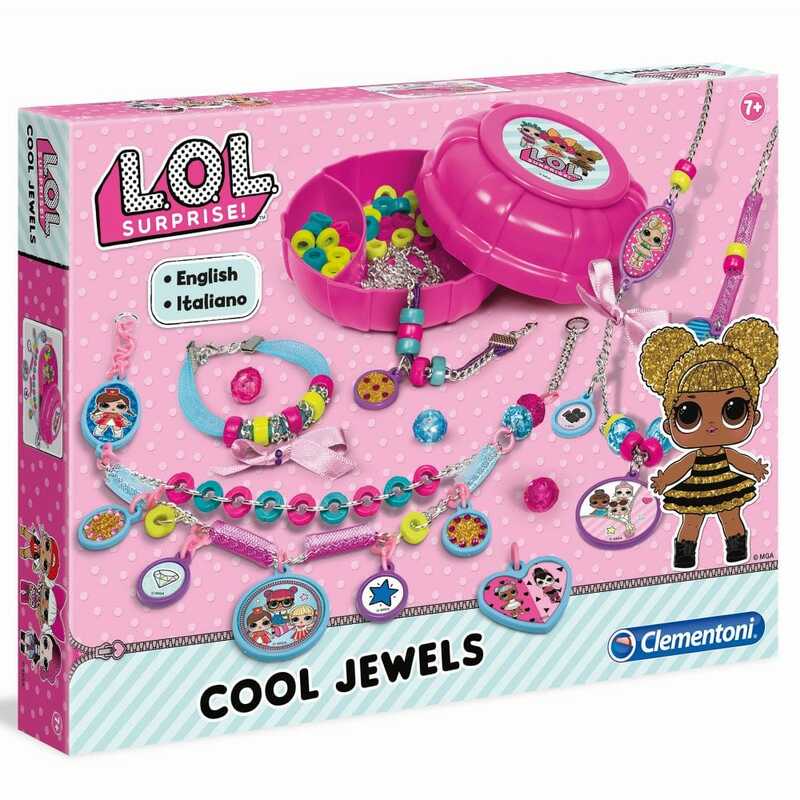 Create bright and colourful jewellery with charms, chains and accessories they you can personalise in LOL Surprise style! Lots of pendants to decorate with stickers and glitter to create truly unique jewellery! The super glam jewel case is perfect for storing the pieces and all your creations. Perfect for making and swapping ideas with your friends or making and giving as a gift. Kit contains: jewellery box (to be assembled), customised LOL stickers. satin ribbon, silver coloured chain, metal rings & clamps, glitter dust, adhesive rhinestones, crinoline tubing, plastic colour rings, plastic pendants, 4 facet beads and illustrated manual.